All commercial jets (with the exception of the 787 Dreamliner) rely upon air pulled in through the engines to provide pressurized air to the cabin. During flight high-temperature compressed air is bled off the engines and, after being cooled, is re-circulated throughout the cabin and flight deck. Pyrolized engine oil or hydraulic fluid may contaminate the air in these compressors. As a result of exposure to this contaminated air, airline workers along with airline passengers, may develop chronic health problems leading them to seek attention from health care providers. Jet engine oil contains an organophosphate known as tricresyl phosphate (“TCP”), a neurotoxin capable of damaging the central and peripheral nervous system. After exposure to contaminated bleed air passenger and flight crew may suffer from industrial asthma and neurological damage including cognitive problems, memory loss, uncontrollable tremors, numbness and tingling in the extremities, disabling migraines, speech impairment, and vision loss, among other symptoms. Sometimes people describe contaminated bleed air as smelling like “dirty socks” or “bad cheese” or a “gym locker room.” Sometimes this injurious air does not smell at all. Some have described a metallic taste that they experience during a “fume event.” Others may have trouble breathing. Toxic cabin air not only compromises the health of cabin crew and passengers, it also compromises flight safety. Pilots have described feeling groggy, or “out of it” or even paralysis when breathing air laden with jet oil fumes. Fume events are dangerous. Our firm’s experience litigating aviation fume event cases has literally placed us on the cutting edge of these claims and the science behind them. We are proud to work with some of the best experts in the field of aviation air quality. Hopefully, through time, we will improve the quality of the air that we all breathe on commercial aircraft. If you have been exposed to contaminated air on an airplane there is important information that your doctor should know. 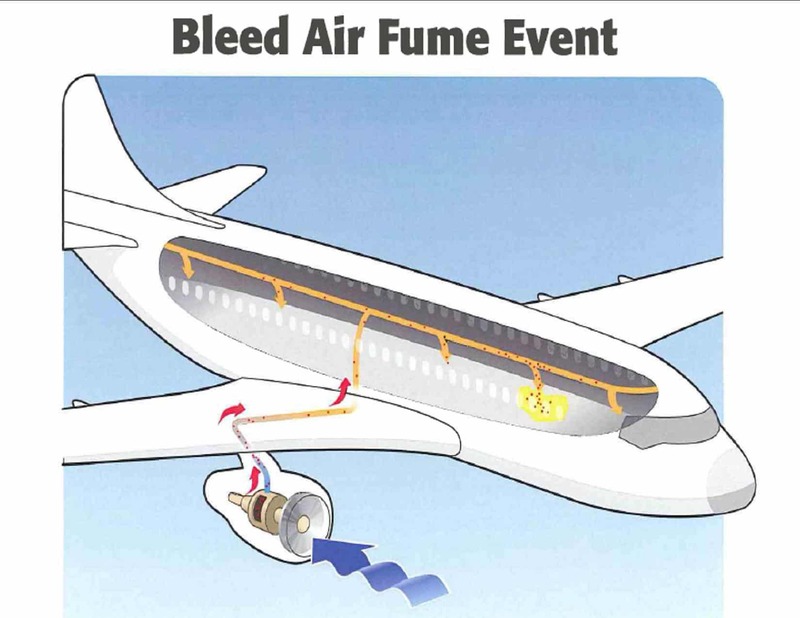 Click here to obtain the Bleed Air Medical Protocol, a document designed to help doctors treat victims of fume events. Bring this document to your doctor.